Christina of the lovely You Can Call Me Chris blog had a giveaway to celebrate her 100th post. I was the recipient of a set of luggage tags. Thanks Christina! You can buy lovely paper goods in her etsy store. She does all this whilst pregnant, too! 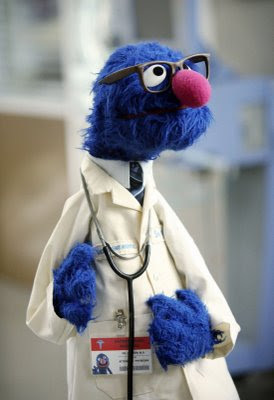 Also, thanks for sharing this image of Dr Grover on Scrubs!